Long a favorite of holistic health proponents, Himalayan salt crystal lamps are revered for their healing powers stemming from their ability to preserve and restore air quality. Their natural ionization properties can increase negative ion presence in the air by as much as 300 percent. This is especially beneficial for providing electromagnetic force, or EMF protection, in today's modern household where electronics abound. But these lamps are also prized for their ability to remove other impurities from the air, including allergens. The changing seasons often trigger an upswing in symptoms for those suffering from allergies and unfortunately, these particles make their way into the home environment in greater number at these times of the year. The use of a Himalayan salt rock lamp can reduce allergic reactions, promoting improved health and wellness. How Do Allergens Impact the Body? To understand how these salt lamps can improve the environment for those suffering from even the most severe allergies, it's useful to understand just what is going on when allergies flare up. An allergic reaction is really just a heightened natural reaction of the immune system as it responds to non-pathogenic particles floating through the air. These particles are commonly referred to as allergens. Everyone reacts to these particles to some extent, but people who suffer from more bothersome symptoms of allergies have immune systems that are more sensitive to certain types of these particles. This causes their bodies to react with large amounts of histamine, working overtime to ward off what it sees as an invasion. 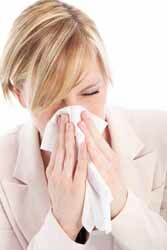 The fact that this is a normal and natural response, even a sign of a healthy and intact immune system, does not make it any easier for those suffering from a runny nose, itchy eyes and other symptoms. But our Himalayan salt lamps can help break this cycle, soothing the immune system by reducing the number of allergens available to stimulate a response. As it warms, salt particles in the lamp begin to dissociate and negative ions flow into the surrounding air. As this occurs, over time a negative ion gradient will build up in the air which helps to neutralize the positive charges caused by airborne allergens. 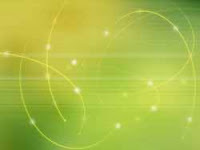 Because these charges have no mass, these negative ions can continue to build up and circulate with no adverse effects. Quality of your salt lamp is vitally important to its ability to relieve allergy symptoms, provide EMF protection and help your body detox. Our Himalayan salt rock lamps are made only of natural salt hand-mined from ancient oceans without exposure to contaminants. As one of the purest forms of salt available in the world today, you can be assured your Himalayan salt rock lamp will provide optimal relief for allergy sufferers.